Sometimes life calls for something warm, chocolaty and fudgy with a scoop of vanilla ice cream. Something that is easy enough to make every day but elegant enough to serve to company. Something that makes every chocolate lover swoon. That's where Molten Chocolate Lava Cake makes the perfect dessert. It's somewhere between a slice of cake on the outside with a warm fudge center and is outstanding with a scoop of vanilla ice cream. If you're feeling fancy add a little drizzle of raspberry or strawberry puree and your guest will think you spent hours in the kitchen. I had a little leftover cake today and it was just as good at room temperature alone as it was with the vanilla ice cream, it reminded me of a good chocolate truffle hidden inside a moist piece of chocolate cake. Look at that thick fudge center. A little bite of heaven. 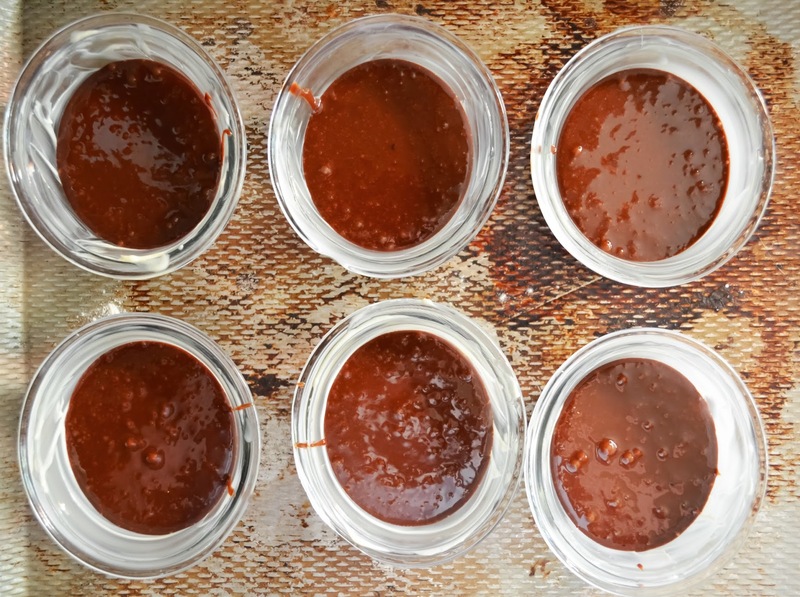 In a large sauce pan melt good quality chocolate chips with butter over medium heat, stirring until melted. Remove from heat. 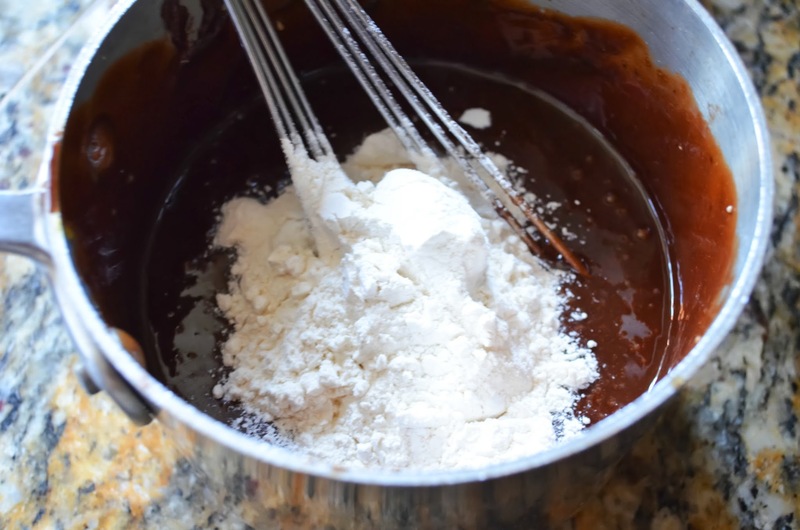 Stir in powdered sugar, cocoa powder and instant coffee to the melted chocolate. Stir in 3 whole eggs 1 at a time and then the 3 egg yolks. Add 1 teaspoon vanilla, a pinch of sea salt and stir until well combined. Add flour and stir until well combined and smooth. Butter 6 oven safe custard cups well. Place custard cups on a cookie sheet and divide batter evenly between cups. Pop these little beauties into a 425 degree preheated oven for 14 minutes. Remove from oven and allow to cool for 3 minutes before inverting onto a plate using a pot holder. Dust lightly with powdered sugar, drizzle with raspberry or strawberry puree and a large scoop of vanilla ice cream, if desired. 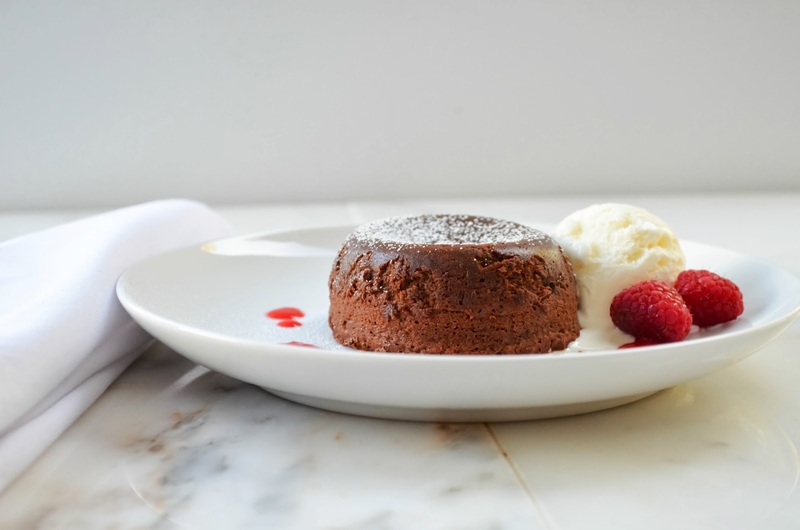 Molten Chocolate Lava Cake. A rich chocolate cake with a warm fudge center. Grease 6 oven safe custard cups with butter and place on cookie sheet. 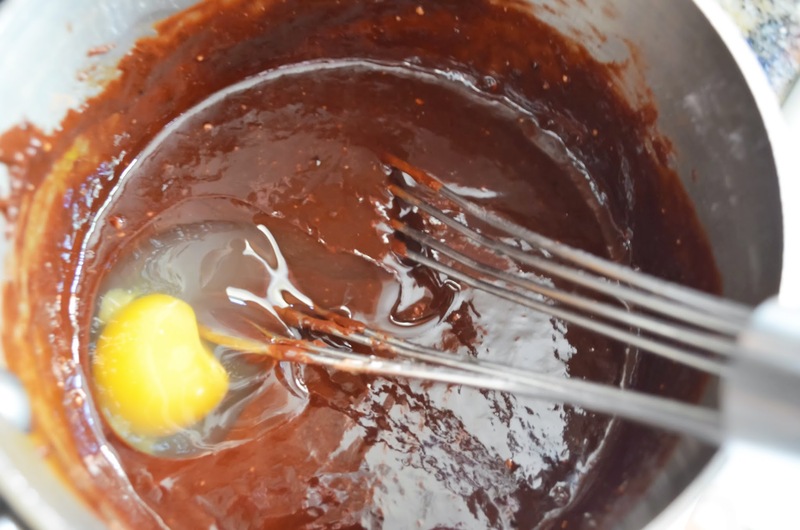 In a large saucepan melt chocolate chips and butter over medium heat, stirring until melted. Remove from heat. 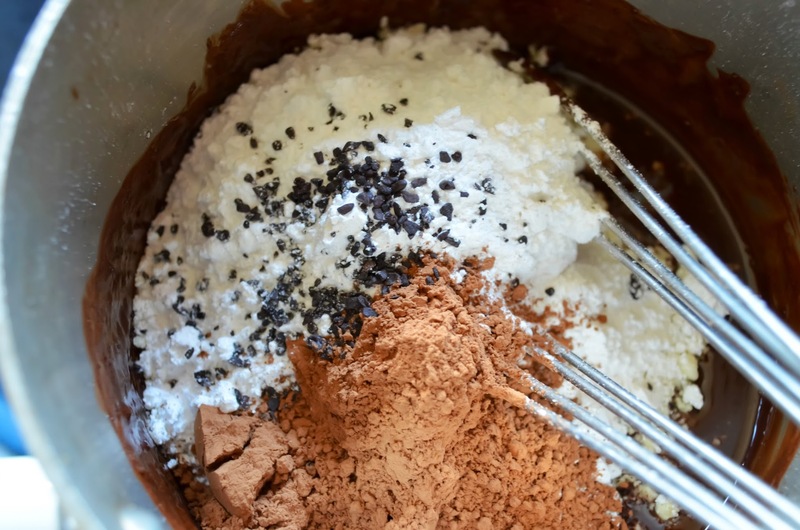 Stir in powdered sugar, cocoa powder and instant coffee granules until well incorporated. Add eggs one at a time, stirring throughly between each addition. Add egg yolks, vanilla extract and a pinch of sea salt, stir until well combined. Stir in flour and mix until throughly combined. Divide batter equally into custard cups and bake on a cookie sheet in preheated oven for 14 minutes. Remove from oven and allow to cool for 3 minutes before inverting onto each serving plate using a pot holder to hold custard cup. 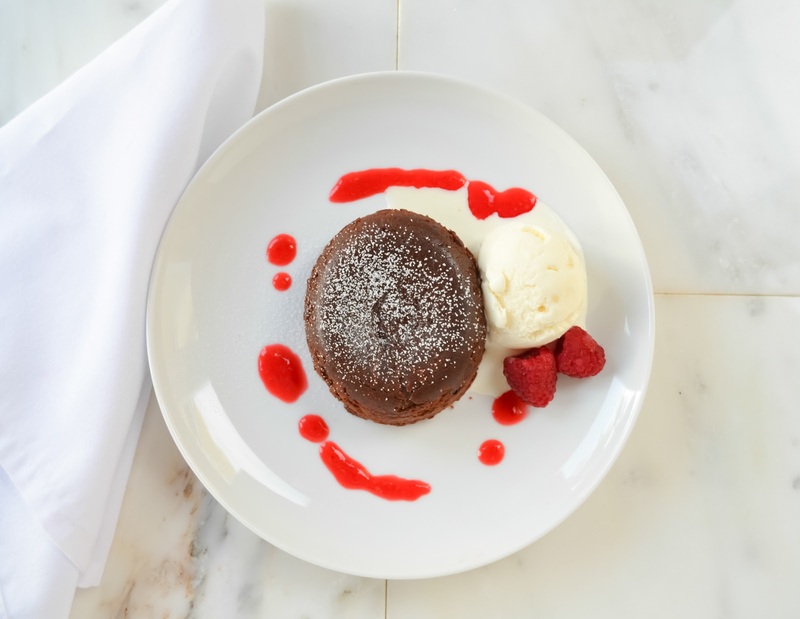 Dust Molten Lava Chocolate Cake with powdered sugar, drizzle with raspberry sauce, fresh raspberries and a scoop of vanilla ice cream if desired. Oh! my! this is pure heaven!! wish I could have a scoop out of that amazing cake!! 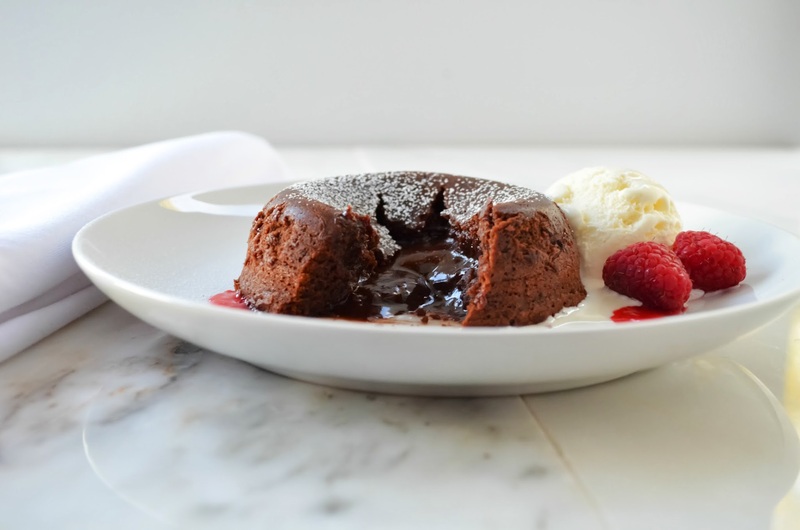 Oh, I love molten chocolate lava cake! That fudgy center looks incredible! Thank you for a great recipe! Everyone loved it! Even people at my house that are not big fans of chocolate, this recipe is a keeper, thank you!